So first of this was originally way more complicated then it should have been. 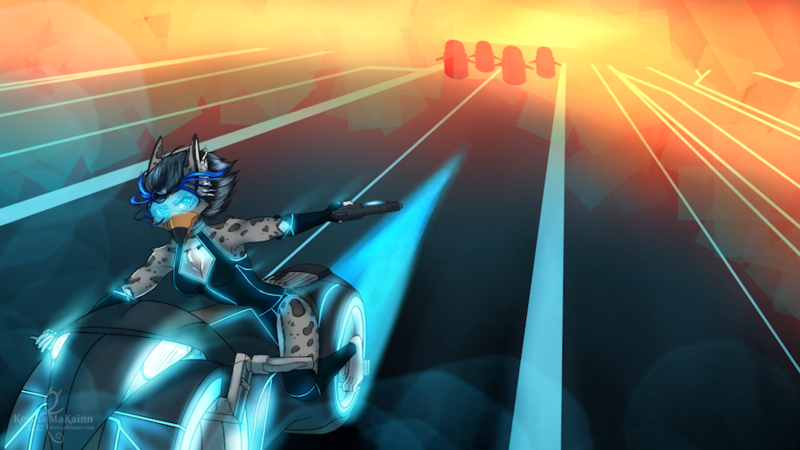 I scrapped a background and the bike alone took me 10hours to figure out. At first it was just supposed to be a chase scene in a futuristic setting, but in the middle of designing the bike I changed my mind and went with a tron feel. All in all I'm very happy with it. Image is 1920x1080, my gift to all you awesome peeps.